drop info, a minotaur excavator, loping plains . forgot to mention, but I had two drop in one clear. I thought that drop rate was quite good. About 1 per 10 - 15 minutes. 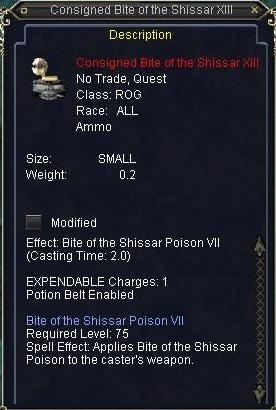 poison tradeskill stuff drops off these mobs like crazy. I have seen this drop from an imp protector in solusek b. I have also seen the XII drop from them too. Its not a common drop though.